Loneliness is distinct from the number of friends a person has or how much time he or she spends alone, but is rather defined by a longing for greater social interaction. "Put simply, lonelier people feel worse when they are sick than less lonely people," Fagundes and his co-authors wrote in their 2017 paper, published in the American Psychological Association journal Health Psychology. Fagundes says he suspects the increased misery is not just a matter of perception. Loneliness, it seems, actually does make people sicker. Study after study suggests loneliness is a health hazard, raising a person's risk of a wide range of illnesses from cardiovascular disease and cancer to depression and dementia. An oft-cited 2015 meta-analysis from researchers at Brigham Young University showed loneliness and social isolation are as deadly as well-established risk factors, such as obesity, smoking and lack of physical activity. The health consequences of loneliness have become the focus of widespread public dialogue in recent years, as media such as The New York Times, Forbes and the BBC warn of a loneliness "epidemic." Britain's government appointed a new "minister for loneliness" in January to help address the health and social toll of loneliness. But just what makes loneliness so toxic? Scientists are looking for answers by delving into how the human body responds to feeling alienated. 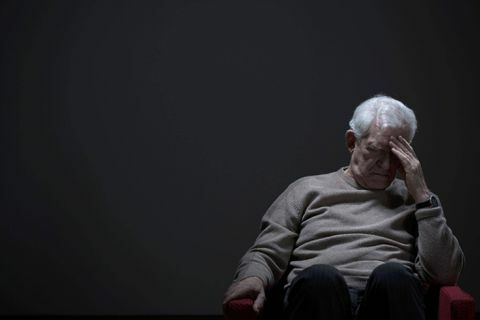 By concentrating on understanding the genetics and biological mechanisms involved, researchers are on the path to solutions, if not to eradicate loneliness, then at least to blunt its harmful effects. Those who study loneliness typically subscribe to one of two potential explanations for why it is so detrimental, says Dr. Lisa Jaremka, assistant professor of psychological and brain sciences at the University of Delaware, and a co-author with Fagundes of the 2017 Health Psychology study. The first is that loneliness is a source of stress, and stress is known to have a wide range of negative health consequences, including high blood pressure, sleeplessness, indigestion and poor dietary habits. But Jaremka belongs to a second camp that suspects there is more to it. She says she believes something about loneliness is specifically threatening. After all, Jaremka says, a wealth of research shows that a sense of being cared for and loved is crucial to our well-being. "This need to belong is a fundamental part of being human. It's like the air we breathe," she says. "We need oxygen and we need healthy, thriving relationships equally as much." Without these relationships, she adds, "bad things result, including health problems." Chronic inflammation is "one of the major fertilizers" for many of the illnesses associated with loneliness, including heart disease, cancer and neurodegenerative disorders, says Dr. Steve Cole, a genomics researcher at the University of California, Los Angeles. So what role does loneliness play in chronic inflammation? To conceptualize how immune systems function, first consider two of the major kinds of pathogens: viruses and bacteria, Cole says. Viruses spend much of their life cycle within a host's own cells, and tend to be transmitted from person to person. As such, he explains, they are intrinsically social pathogens. Bacteria, by comparison, are generally not as social, he says. Certain kinds of bacteria may thrive in dirt or in the environment, for instance, and may not pose a threat unless they get into a wound. Because viruses and bacteria behave differently, it makes sense that we would need at least two different kinds of immune responses to tackle them – an inflammatory response that is good for fighting bacteria, and an anti-viral response that is good against viruses, Cole says. The trouble is that our bodies cannot fight both optimally at the same time. Social species, such as humans and primates, appear to have developed a stronger anti-viral response by default, meaning our immune systems are usually on the defence against viruses – and for good reason, he says. We are probably more likely to catch a virus from someone within our social circles than we are to have some infectious bacteria enter our skin through an injury. But when faced with a fight-or-flight experience, the immune system temporarily redirects its resources away from fighting viruses to brace for a bacterial infection, Cole says. And it appears loneliness triggers the same response. Thus, he says, "one way of thinking about loneliness is it … is constantly activating this defensive stance in our body that's getting us ready to be injured." This too, he suggests, may be adaptive, since when humans are alone, they're more vulnerable to predators and enemy attacks. In 2007, providing a framework for this idea, Cole and his team found distinct differences in the gene expression in the white blood cells of lonely people, compared with non-lonely people. Rather than being in the default anti-viral stance, the immune systems of lonely people appeared to be tipped in favour of producing inflammation. High levels of inflammation in chronically lonely people have led some researchers to wonder whether anti-inflammatory drugs, such as ibuprofen, could block the harmful effects of loneliness, Cole says. Conceptually, at least, this may be possible, Jaremka says, but it does not address the underlying problem. "If you were to, say, stop using those drugs, and you're still lonely, then you're likely going to experience high inflammation again," she says. Loneliness, after all, serves an important function, suggests Dr. Abraham Palmer at the University of California, San Diego, who has been studying how much of loneliness is genetic. Palmer, a professor of psychiatry and vice-chair of basic research, explains loneliness may be a warning signal that motivates people to try to develop social links, in the same way the pain of a burn motivates people to move away from a hot flame. "It's important [for humans] to maintain social connections for child-rearing, for generating food, etc. It's important to be part of a group," he says. "So it's uncomfortable when you are failing to do that, because that is actually a danger." Since people have varying appetites for social interaction, it's important not to confuse loneliness with social isolation. Just as some people are quite happy living alone, others may be constantly surrounded by friends and family, yet still feel they lack the social connections they desire, says Dr. Abraham Palmer of the University of California, San Diego. Although many of us may feel periodically lonely, loneliness seems to be especially damaging experienced day in and day out for years – when it becomes a lifestyle and not just a transient phase, says Dr. Steve Cole of the University of California, Los Angeles. So what can we do about loneliness? An obvious answer may be to put lonely people in a room and encourage them to socialize. But Cole says this tactic can actually make things worse. After all, a surefire way to make people feel socially insecure is to surround them with strangers with whom they have trouble connecting. A common misperception is that lonely people lack social skills, says Dr. Lisa Jaremka of the University of Delaware. Simply teaching them how to engage socially or to "make friends" does little to help. What might work are specialized versions of cognitive behavioural therapies, Jaremka says. These therapies, best done with a therapist, involve getting people to recognize and reframe their thought patterns around loneliness. Because lonely people tend to have an exaggerated inflammatory response (the body's way of dealing with injury), anti-inflammatory medication such as ibuprofen seems a "modestly promising" way to protect against the health consequences of loneliness, Cole says, although he cautions this research is still in its infancy. He describes inflammation as "one of the major fertilizers" for many chronic illnesses. Beyond that, he says, collaborating on some kind of pro-social project seems to help. When the task is focused on a shared purpose, it seems "a good indirect attack on loneliness," he says. Toronto graphic designer Marissa Korda inadvertently found another potentially helpful tactic: having people share their experiences of loneliness. Korda, 26, created the online community The Loneliness Project in October as a "passion project," publishing submissions from strangers about feeling lonely via Facebook, Instagram and the project's website. While her aim was to promote empathy, Korda found the project also seems to make people more comfortable with their loneliness. Knowing they are not alone seems to help ease the misery. Attempting to eradicate or cure loneliness is unrealistic, Korda says, and may further stigmatize the lonely. Instead, she says, "I think what we need to do is … get it into the open so we can treat it as a normal part of being human, which is exactly what it is."